The Citizen of the Year is awarded to a non-psychologist who has made significant contributions to the ideals of mental health or social welfare. Nominations should consist of several paragraphs detailing why this individual deserves the honor. Supporting documentation may be enclosed. Recipients will be selected by the NJPA Executive Board based upon how well they meet the criteria of the award. Peg Wright, President and CEO of The Center for Great Expectations (CGE) since 1998, founded the Center to assist homeless, pregnant women and adolescents in “breaking the cycle” of homelessness, abuse, and addiction. The program began in a rented apartment in Somerset serving 12 women on an annual basis. Under Peg’s leadership, CGE now serves over 500 people on an annual basis through a host of dynamic and comprehensive service programs, including: an expanded residential program treating both adult women and adolescent mothers and their children; an outpatient center that specializes in gender specific treatment for women and men with substance use and or co-occurring disorders; a supportive housing department providing 28-units of supportive housing in Somerset and Middlesex counties; a vibrant and enriching child development center; and an in-home program providing clinical and case management service to opioid-addicted mothers and women in recovery. Peg leads a team of over 100 full and part-time employees, countless volunteers, and a dedicated Board of Directors. Her commitment to providing the most impactful programming supports an innovative clinical approach that integrates trauma-informed care with parent-infant mental health, resulting in programs that address underlying traumas and focus on building self-esteem, life skills, and the critical relationship between mother and child. During her first career in sales and sales management of Diagnostic Imaging equipment, Peg developed the dynamic skills she uses today to partner with the public, private, and academic sectors to bring the highest level of care to the clients of the center. 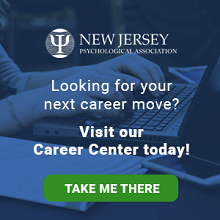 She is passionate collaborating with dedicated behavioral health clinicians, who specialize in trauma informed care and parent infant mental health, to advance the individualized, compassionate mental health and substance use treatment that Great Expectations provides to marginalized women and men from all counties of New Jersey. In 2015, Peg was selected as an NJBIZ “Top 50 Women in Business,” an affirmation of her outstanding contribution in the nonprofit sector and our New Jersey communities, and was honored to be named a “New Jersey Hero” by the NJ Heroes Foundation. Mary Pat Christie and leaders of the Foundation visited Great Expectations to tour the facilities, meet clients and staff, and deliver Peg’s award along with a foundation grant. In 2015 Peg was awarded the Citron Cooperman “Woman at the Wheel” recognition. 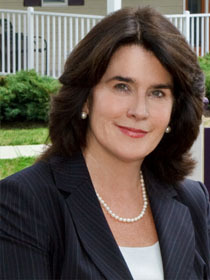 Peg attended John Carroll University, Ohio and New Jersey City University, and currently sits on the board of the Somerset County Business Partnership, and the Advisory Board of Fairleigh Dickinson University’s Center for Excellence. The 2017 Citizen of the Year Award was presented to Ms. Wanda Moore, previous Director of the Office of Community Justice within the Office of the New Jersey Attorney General. Within that capacity, Ms. Moore spearheaded the implementation of community-based crime prevention strategies, coordination of social services delivery and increasing opportunities for youth of promise through effective system-wide changes through the building of on-the-ground strong collaborative community-police partnerships. She was part of the development of youth planning boards in several cities in New Jersey including Atlantic City, Trenton, Camden, and Newark. These local boards focus on positive youth development by working with local communities to identify and define issues that impact their neighborhoods and how to effectively address these issues using data. These efforts were designed to engage disconnected youth, communities and other stakeholders while reducing truancy, delinquency, and violence. Ms. Moore’s extensive grant work has included spearheading an understanding of the relationship between psychological trauma and juvenile justice issues. In April 2016, Ms. Moore organized a “Trauma Informed Care Roundtable” that brought together significant statewide stakeholders across multiple systems to discuss both the impact of trauma and to develop strategies for addressing its causes and consequences. Ms. Moore has repeatedly exhibited an appreciation for the importance of psychological knowledge in the work she has undertaken and has opened herself to collaboration with mental health providers in order to address profound social problems. I am proud to present the Citizen of the Year Award to Jordan Thomas, an individual who has made a substantial impact on access to mental health services. As an adolescent, Jordan was seeking therapy for issues going on in his life at that time. Jordan had to overcome barriers that many of our clients have had to endure. In addition to the barriers that face many of our clients, Jordan had an additional barrier. This was coming from home. Jordan’s mother would not consent for Jordan to have access to treatment for problems, many of which stemmed from home. Many teenagers would have given up on trying to overcome such barriers, and resign themselves to the unfortunate conclusion that help is just not available for them. But not Jordan; Jordan utilized the assistance of those around him. Jordan utilized the help of those at the Boys and Girl’s Club of Hudson County, and challenged these barriers. Jordan was able to overcome the barriers that stood in his way, and obtain the help that he needed at that time. This would be a substantial accomplishment, but what Jordan and those who stood with him did next is nothing short of incredible and truly inspiring. Jordan was able to get the New Jersey legislature to enact a bill to allow adolescents to seek mental health treatment, even if they did not have parental consent. This is extremely important in that in many circumstances, where there is parental abuse or neglect, the parent will attempt to restrict access for the abused or neglected to seek help. This bill was to do away with that barrier. Jordan spoke to the legislature. He utilized his own experiences to get the legislators to understand the very real need that this bill would fulfill and the potential harm that could befall our youth, should this bill be ignored. In doing this, Jordan not only helped to advocate a need for himself, but put himself on the line to be a pioneer to help ensure that mental health services remain available to all who need it, especially vulnerable youth. Bill A-3435 that is designated as the “Boys & Girls Clubs Keystone Law” was passed by both houses of the New Jersey senate on 1/11/6 (36-0) and signed into law on January 19, 2016. 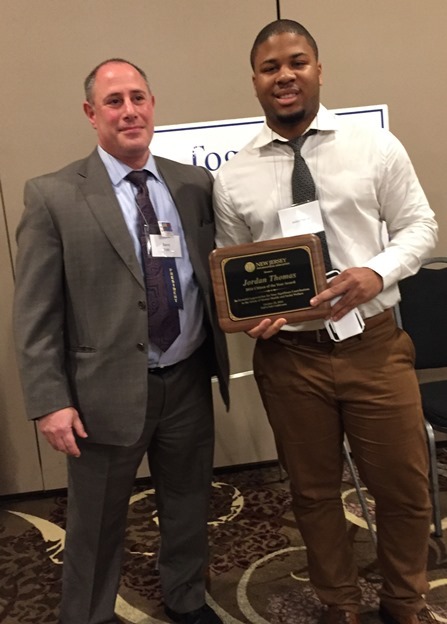 It is my honor to present the NJPA Citizen of the Year Award to Jordan Thomas. 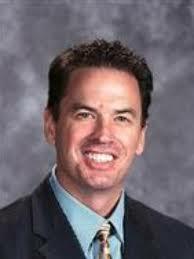 Richard Labbe, EdD, Superintendent of the Sayreville, New Jersey public schools, received the Citizen of the Year Award in recognition of his exceptional and courageous response to the allegations of bullying, hazing, and sexual assaults by members of the Sayreville High School football team that occurred in September 2014. While similar scandals have been shrouded in denial and cover-ups to protect sacred coaches and athletes, Dr. Labbe acted swiftly and chose to be transparent, making decisions that put the protection and safety of the victims first despite protests from football players, parents, and the community. 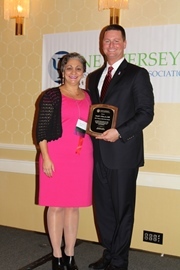 NJPA selected as Superintendent of Schools in East Hanover Township Public Schools District, Dr. Joseph Ricca as our Citizen of the Year for 2013. In his role, he made significant contributions to the ideals of mental health and social welfare. Of particular importance, he have demonstrated an appreciation of the importance of psychologically-based guidelines for bullying prevention and intervention programs and sent a strong and vital message to the community that psychologists and psychology are necessary components to alleviating bullying.